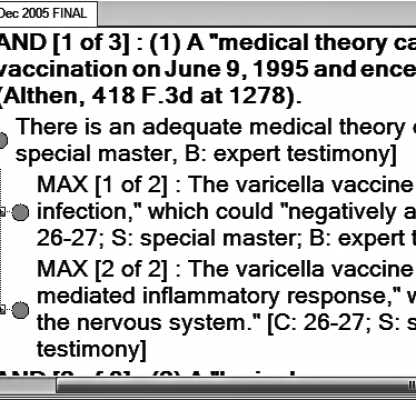 The LLT Lab’s V/IP Corpus is one product of the Lab’s Vaccine Injury Project. 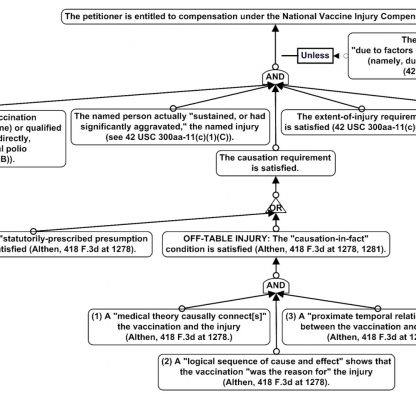 The semantic data consist of annotated judicial decisions within a sample of decisions selected from the U.S. Court of Federal Claims. 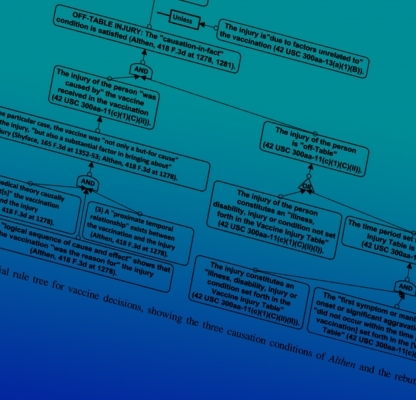 These decisions adjudicate claims for compensation for injuries due to vaccines in the United States. 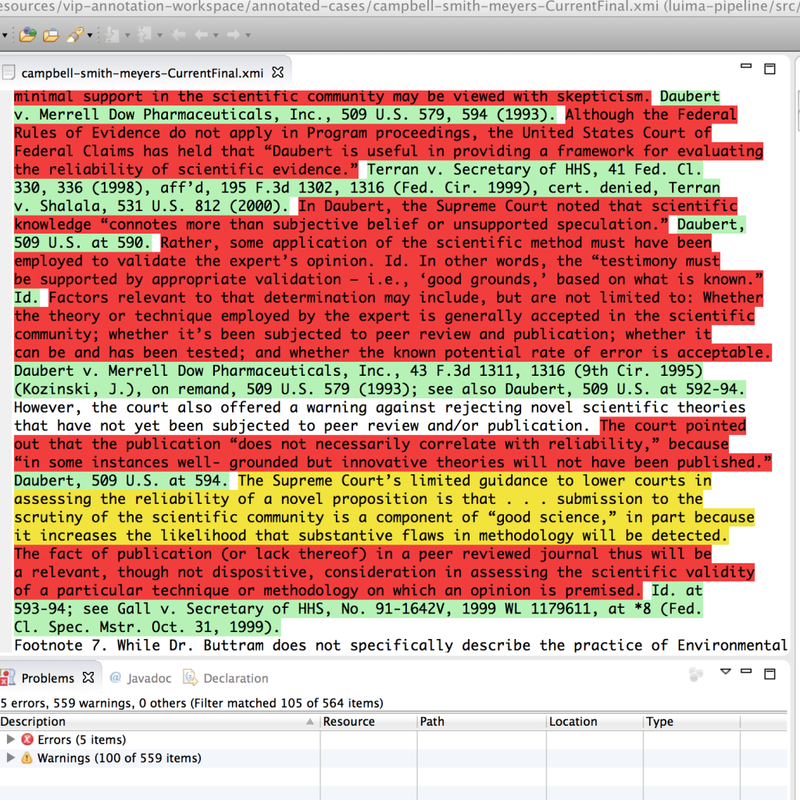 The annotated documents are created using the Eclipse editing framework, along with the UIMA (Unstructured Information Management Architecture) framework that underlies IBM’s work on the Watson Jeopardy! program. 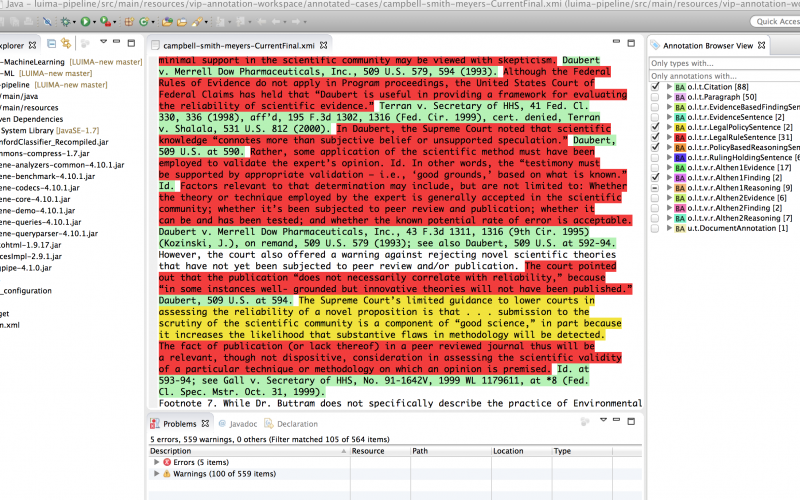 The Lab annotates spans of text within these decisions for the semantic roles played in legal reasoning and argumentation. 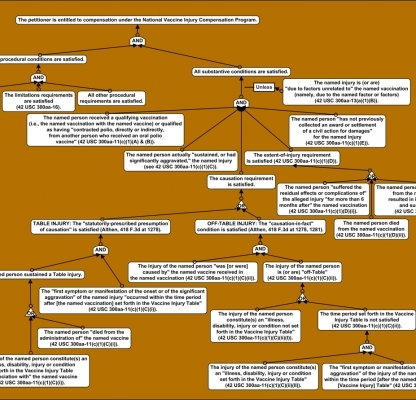 The Research Laboratory for Law, Logic and Technology (LLT Lab) conducts empirical research on argument and reasoning patterns in diverse samples of legal documents, creating the semantic data, training protocols, and software analytics needed to develop technology to assist legal reasoning. © 2016 LLT Lab. All Rights Reserved.